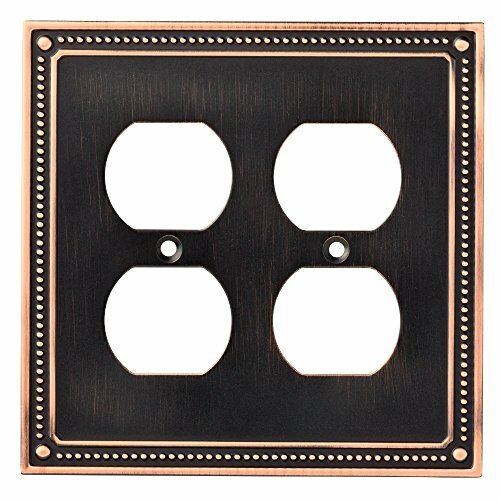 Franklin Brass W35064-VBC-C Classic Beaded Double Duplex Outlet Wall Plate / Switch Plate / Cover, Bronze with Copper Highlights by Franklin Brass at N Online Agency. MPN: W35064-VBC-C. Hurry! Limited time offer. Offer valid only while supplies last. Decorative wall plates are simple way to transform the look of any room. This collection is available in today’s most popular finish options.